The all new Wireless PnP LabelManager is an extension of Dymo's ever-popular LabelManager range which includes a variety of handheld and desktop label makers that all use the D1 label tapes. The Dymo LabelManager wireless PnP prints on 5 different label sizes (1/4", 3/8", 1/2" 3/4" and 1") which come in a wide variety of colors. The wireless PnP uses Dymo's free DLS labelling software, enabling you to use the fonts on your PC or Mac, and you actually get to see what you are going to print before you hit the print button (WYSIWYG). 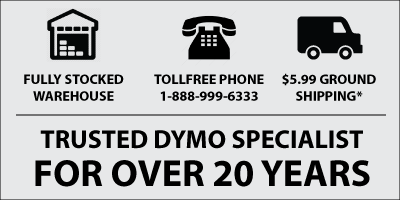 The Dymo wireless PnP has built-in wireless capabilities making easy for multiple users to share the device without having to be physically connected.